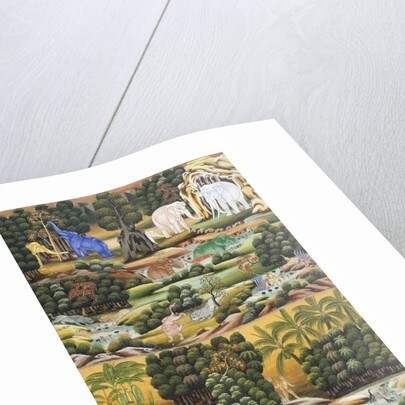 A print from the Burmese Buddhist Cosmology showing the fabulously lush region of Himavant covered in forests with seven great lakes and inhabited by gods, sages, demons and wild animals. 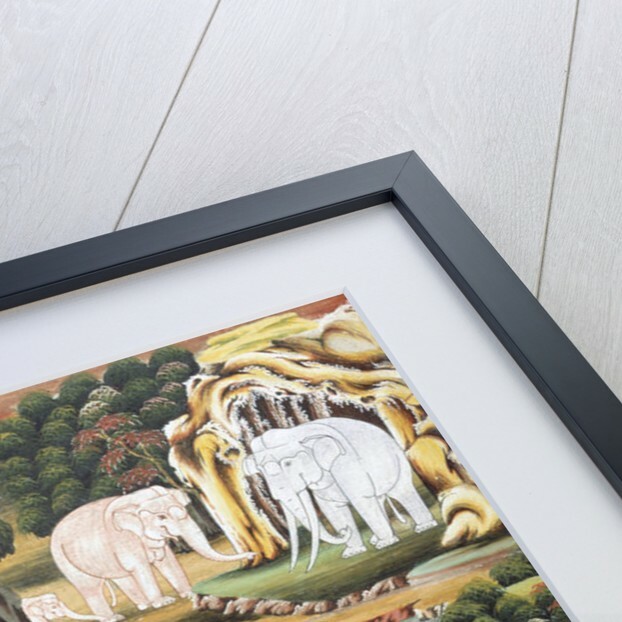 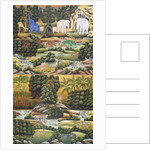 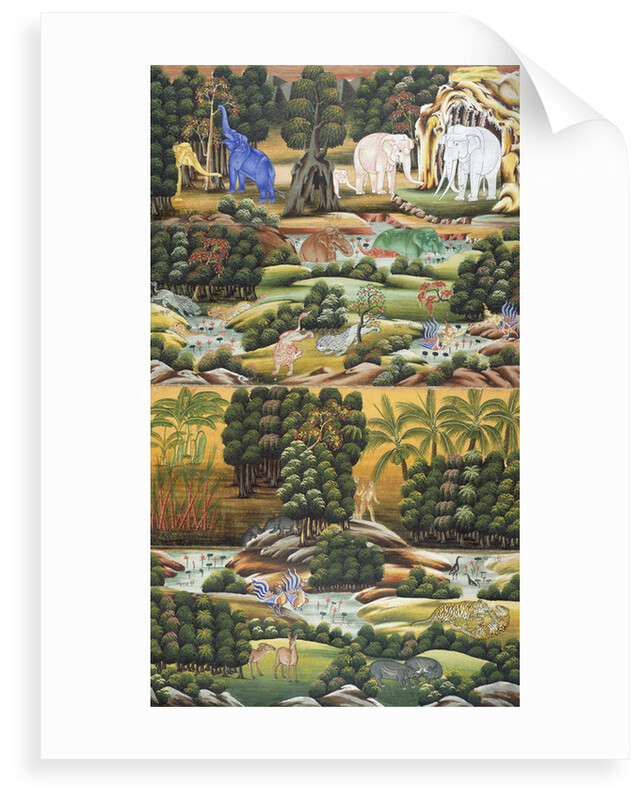 Elephants, tigers, lions, deer, rhinos and birds are shown. 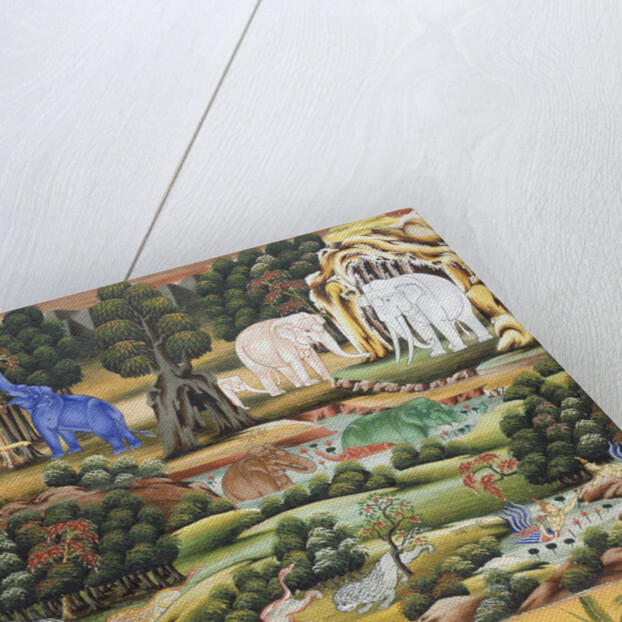 The Burmese Buddhist Cosmology was originally produced in Upper Burma, in the 19th century.